We always like to highlight great listings in the area that we think our home buyers will like. 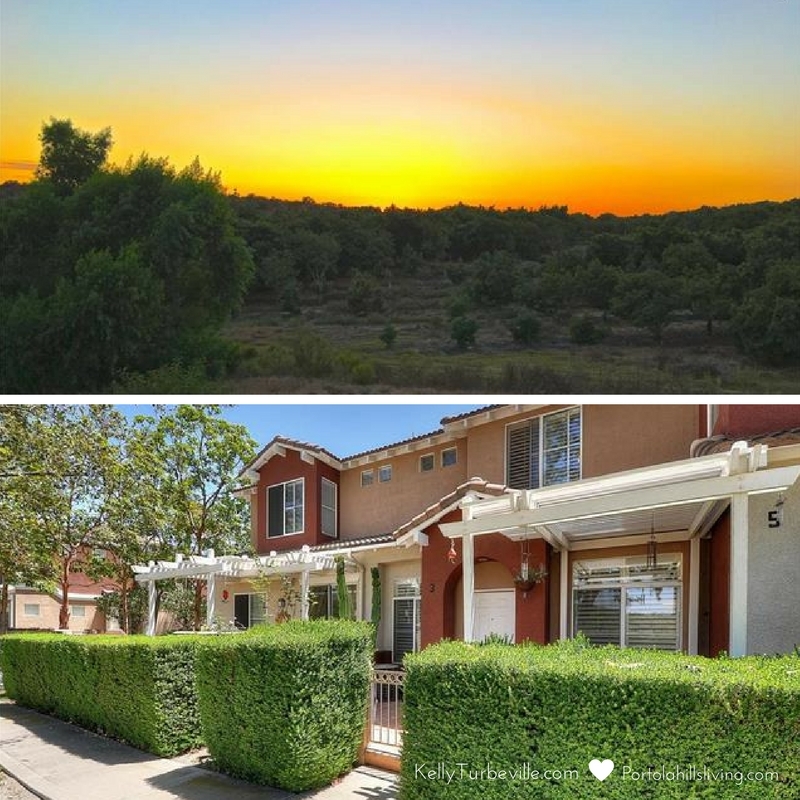 Today's listing is a townhome listed in the Vineyard Complex in Foothill Ranch. Why do we like this listing.. First off the price is a steal! Last model match sold between $435,000-$440,000. This home is listed for $430,000! The average price of a town home in Portola Hills in July was $478,000 for 1200 square feet. This home is 1101 square feet. The Vineyard complex is located in Foothill Ranch walking distance to the Foothill Ranch Town Center that includes dining, shopping and entertainment. As well centrally located to the 241 toll road and 5 minutes away from interstate 5. If you would like to schedule a showing please do not hesitate to contact Realtor Kelly Turbeville to schedule a showing. Portola Hills Living is a community based blog site created with the residents in mind. We want everyone to participate, so if you have any information you would like to share with the community please do not hesitate to contact us! Though we live in a special place, we also understand community is about people! Kelly Turbeville is a licensed Realtor with Keller Williams Realty, Inc. The above information is provided for information purposes only. When provided based on information from the Association of Realtors/Multiple Listing Service as of (date of publish) Display of any MLS data is deemed reliable but not guarantee by the MLS. The Broker/Agent providing the information may or may not have been the listing or selling agent. The Oaks in Portola Hills... What's the scoop! Portola Hills Rents increase 7% in 2015. Copyright Kelly Turbeville 2019. All information is deemed reliable but not guaranteed. D. Picture Window theme. Powered by Blogger.